Nearly two years ago, post a romantic split, Paula Simpson found herself ready to leave Christchurch, New Zealand. She was looking for an ‘out’. As luck, and our loving big brother Facebook Zuck would have it, she scrolled. And true to its magic eight ball sorcery, Facebook provided a possibility in the form of a friend’s status update. The out? Working at a new startup in Bangalore, India. Paula messaged to inquire if there were a position she could fill. As sorcery luck would have it, there was. Six weeks later, Paula had given most of her possessions away, pack a few bags and hopped a flight! Soon after arrival, she began working in her new position as an Operations Manager for the new software company. You know, life has a way of throwing curve balls. It was only a couple months later that Paula found herself unemployed AND homeless! So be sure to listen and even have a laugh, as we talk about how she has managed maintain her legal status to remain in the city she now calls home. Note: Spontaneous moves are neither silly, irresponsible nor a disaster waiting to happen. You may very well find yourself in a place that is your soul’s home. 1 Live Abroad in Bangalore! Hear how Paula used her role to acquire her visa. Why 2017 was the year she became a writer. Get local spots for great eats and dessert. And hear suggestions for women visiting Bangalore. P2 and Associates helps you building and maintain relationships with businesses; developing strategies for long-term sales with writing copy that sells. They are word wrangling, ink slinging, content cowboys. For all your content development, transcription, and editing needs. Building relationships with businesses and developing strategies for long-term sales with writing copy that sells. Saucy and Spice is a personal blog about her new life and adventures in India. Kinda ‘Eat, Pray, Love’ but more ‘Eat, Beer, Adventure’. Paula takes around Bangalore to a few places you may have a nice meal or a scoop ice cream when visiting. Mavalli Tiffin Rooms (MTR) – Established in 1924, MTR is one of Bangalore’s oldest and most wel known restaurants serving vegetarian food. Paul suggests having the Masala Dosa and a sweet, yet strong shot of South Indian filter coffee at this eatery. 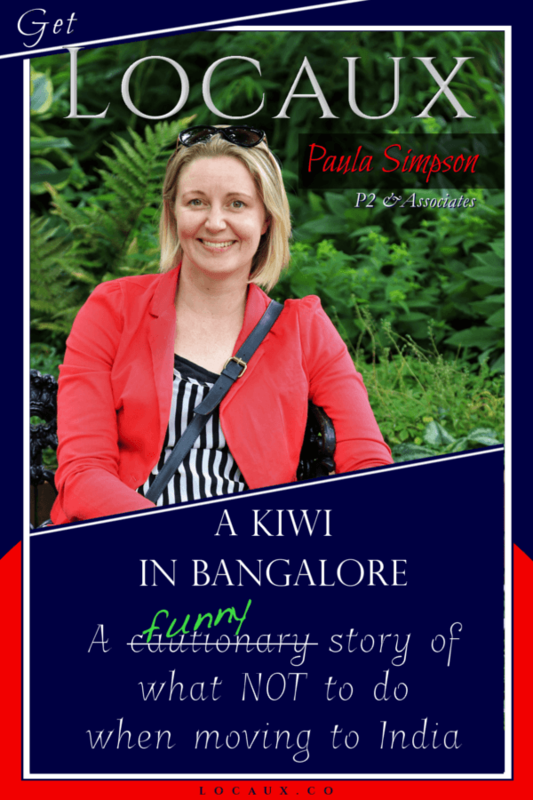 Bangalore being an international city, Paula shares a few favorite places. Indian cuisine – Try the rich and creamy butter chicken at Oye! Amritsar. This rooftop restaurant is good place for some great all you can eat Punjabi food from North India. The environment is child friendly. You can also stop in for late night bites. Vietnamese cuisine – Hanoi From the Bahn Mi to Cua Ran Me (Tamarind Crab) the food looks amazing! They have recently announced breakfast and a set menu service. Live music every Friday and Saturday. Chinese cuisine – Hunan serves contemporary Chinese regional dishes from Sichuan to Cantonese. When reading reviews, it’s stated this place has upgraded “from an easy-on-the wallet” restaurant to a “serious gastronomic destination”. Paula says she could have eat every flavor served at The Art of Delight ice cream shop. If you stop in, report back with your favorite flavor! Get Locaux episodes in your inbox. Have a stroll through UB City Mall, Bangalore’s first and largest luxury commercial project. It is said to be a one-stop shop housing every ultra expensive label you can imagine, to serve your high end needs. Stroll along the haven for shopaholics, Commercial Street. One of the oldest and bustling areas in Bangalore, this street is where you can buy anything from trinkets to the trendiest of clothing and footwear. You can also satisfy any jewelry or electronic fix you need. Locaux is proudly supported by MelodyKiersz.com. Lodhi Gardens – A city park in New Dehli, India. The park is spread out over 90 acres. Visit to see architectural works from the 15th century by the former ruler of Punjab and the modern day province of Pakistan Khyber Pakhtunkhawa, Lodis. Also take in the tombs of Mohammed Shah, Sikandar Lodi, Shisha Bumbad and Bara Gumbad. Nandi Hills, an acient hill fortress in the Chikkaballapur district of Kanataka State of southern India. While there, visit the temple dedicated to the Hindu God Shiva.